Logan Masters, is an ambitious specialty surgeon whose past is riddled with betrayal. His trust in women is conditional- no secrets and no boundaries. 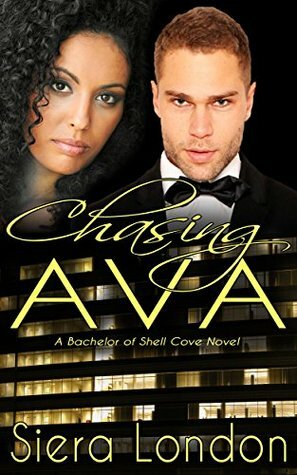 When he comes to Ava’s rescue, there is no denying the spark of attraction. Things get complicated when Logan pursues Ava, rather than the arranged relationship that holds his business alliance together. After years of being alone Ava starts to believe that love is possible under Logan’s skillful touch. But Ava is harboring a secret she doesn’t want exposed. Determined to guard her heart, Ava soon discovers Logan is as focused on winning her heart as she is at shielding it away. When secrets and broken alliances threaten to torpedo both their futures, how will they chart a course to lasting love? 1. Do you have a recipe book? I have two cookbooks from my roommates and fellow Lieutenants from my first assignment. I have a recipe book that my mom put together for me with my favorite recipes from her, both of my grandmother's, and my aunts. I also have a recipe book that my mom was given as a wedding gift over 60 years ago. Not to forget that I have lots of recipe books; particularly love Susan Mallery's and the 2 Debbie Macomber cookbooks - HAVE MADE MANY YUMMY RECIPES FROM THEM. I bought all 3 as gifts for my sister, neice and my nephew's girlfriend. That was me post re Deb Macomber and Susan Mallery cookbooks. I have lots of recipe books, but rarely open them up. They're in the cupboard above the fridge, which is hard for me to reach. I have a recipe book with recipes I have collected over the years. It is a small book though with just my favorites. I have 100+ cookbooks, two small recipe boxes and a file for recipes on my computer. I have a couple of cookbooks, but no recipe books. I have several recipe books. I inherited my mom's recipe books when she passed away. I use to collect them but it is so easy to get recipes online - I still have a collection but have stopped adding to it. I've got a book shelf full of recipe books. Sometimes I use them, other times when I want something new, I'll find a recipe online. I have a recipe book I made up myself out of an old exercise book. I write in it & paste recipes in. The best recipe book ever. I do not have a recipe book yet. I don't, but I should really start one! I have many cookbooks and recipe files - one of these days I want to get them more organized. I have quite a few recipe books, but rarely use them anymore. I have none any longer, gave them to my daughter. I more or less wing it now.